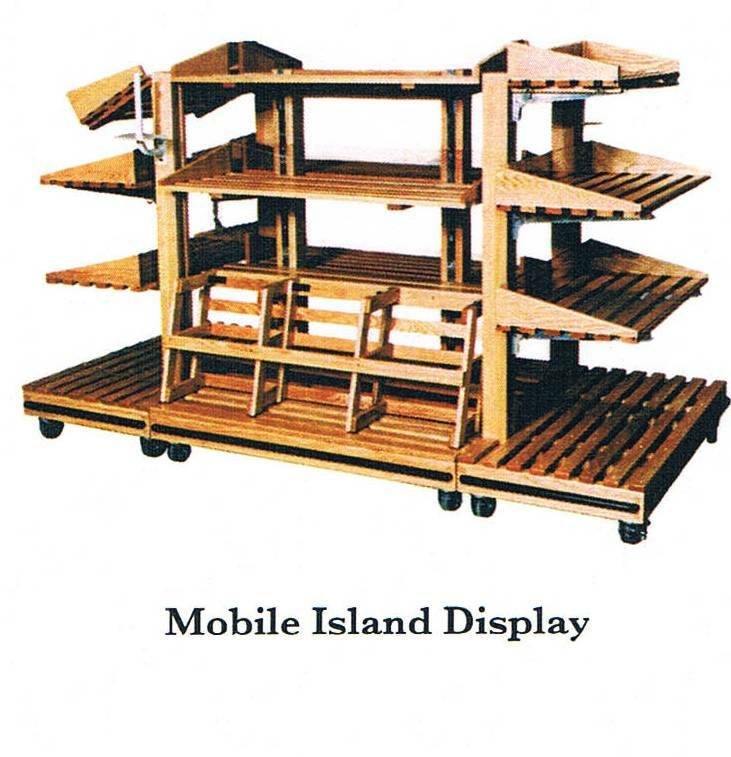 (XPB-MID1) The Mobile Island Display Rack features four sides of rack shelving and display areas to showcase many products in a portable slatted wood display format. The four sided mobile island includes heavy duty locking casters for easy mobility and the locking feature ensures that the rack will stay where placed. For shipping quotes, orders or questions please call our Customer Service Center at 1-877-483-9270.